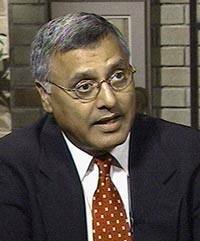 The federal ethics commissioner has found no evidence that Liberal Health Minister Ujjal Dosanjh offered "specific rewards" for a Surrey Conservative MP's support to prop up the government in a key confidence vote last May. And in doing so, he gave the minister's Conservative accuser, former Newton-North Delta MP Gurmant Grewal, a severe reprimand. "While it is not clear whether Mr. Grewal genuinely sought an inducement to change his vote or whether he just acted the part in an attempt to entrap Mr. Dosanjh, his actions were, in either case, extremely inappropriate," commissioner Bernard Shapiro said in a report issued on Wednesday. Either way, Grewal's conduct was at odds with House rules, he said. Of Dosanjh, he said: "I do not find, based on the corroborated testimony of the witnesses, that Mr. Dosanjh induced, or otherwise offered any specific reward to Mr. Grewal to change his vote in relation to the May 19, 2005, budget confidence vote." "The facts of this case have clearly not enhanced the public's confidence and trust in the integrity of the House of Commons and its members," he stressed. "Indeed, I believe the public's trust and confidence has been weakened. I would hope that all members of the newly elected 39th Parliament will consider this carefully." 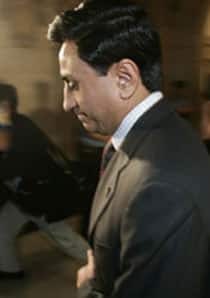 The report outlines conflicting accounts of a meeting on May 17, 2005 involving Dosanjh, Grewal and Prime Minister Paul Martin's chief of staff, Tim Murphy among others. "On one hand, Mr. Dosanjh testified that Mr. Grewal was extremely excited about the crossing of the floor of Belinda Stronach that morning, and how it was now easy for him to be appointed to cabinet. However, Mr. Grewal's account was that Mr. Dosanjh suggested a cabinet position or diplomatic post for him and a Senate seat for his wife." There is no doubt the Liberals were hungry for a recruit, with the confidence vote looming for the minority government. "In regards to Mr. Dosanjh, it is clear that both he and Mr. Murphy had a considerable interest in Mr. Grewal crossing the floor – the confidence vote was, after all, imminent. This is clearly reflected in the fact that they continued their discussions with Mr. Grewal." But the Liberals insisted there was no offer. "The Prime Minister says his instructions to Mr. Dosanjh were: 'If he [Grewal] wants to cross the floor on his own, that is something that we'd be prepared to consider, but there is no quid pro quo of any kind whatsoever,'" Shapiro says. It "would have been preferable," he says, "had Mr. Dosanjh and Mr. Murphy not continued to meet with Mr. Grewal when it was quite clear Mr. Grewal was being non-committal." He says Grewal secretly tape-recorded some of the conversations, either to get evidence of improper Liberal conduct or to use as insurance if he accepted a deal and the Liberals didn't honour it. The former would be bad form and the latter an "extremely serious breach " of conflict-of-interest rules for MPs, he says. In a separate statement, Shapiro said the report was ready on Friday, but was held back to avoid interfering with Monday's federal election. Grewal announced at the beginning of the campaign that he would not seek re-election in his Newton-North Delta riding – to avoid causing problems for Conservative Leader Stephen Harper. Dosanjh won his riding of Vancouver South by a large margin, and will sit on the Opposition benches in the next Parliament.